CD images/soundtracks are just music, without Carroll's voice, for solo singing. 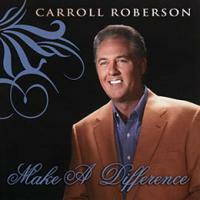 CD images/soundtracks do not come with a demonstration of Carroll singing. They do have background vocals. If a demo is needed, the regular CD of same title will need to be purchased with your soundtrack. Words do come with the CD images/soundtracks. Unchanging Love - Complete Soundtrack Unchanging Love God Takes a Nobod.. Gospel Country Style - Complete Soundtrack God Put it All Together A Lo.. Celebrating 30 Years - Complete Soundtrack A Mighty Rich Man Do You Rea.. Treasures Old and New Soundtrack A Happy Day I Surrender All He Keeps .. Forever Soundtrack I Will Live Forever Blessed Are Those Who've Never S..
Jesus Isreal - Complete Soundtrack Jesus Is Real Homesick for Galilee ..
A Jesus Man - Complete Soundtrack A Jesus Man I Count On Him Walk Ever..
Silver Edition Soundtrack In The Middle Of Tomorrow The Man I Used To B..
A Brighter Day - Complete Soundtrack A Brighter Day Soon And Very Soon ..
Heart & Soul - Soundtrack Sing A Song In Christ Alone Because He I..
Classic Gospel - Soundtrack My Tribute He Chose Me If That Isn't Love .. The Early Years - Vol. 1 - Soundtrack A Common Man I Wouldn't Trade H.. The Early Years - Vol. 2 - Soundtrack Walking In The Light My God Is Re.. The Early Years - Vol. 3 - Soundtrack He'll Hold To My Hand New Man A .. 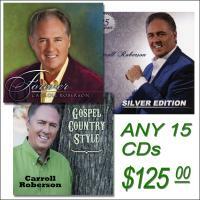 Songs Of The South - Soundtrack The Gospel Train He's Got The Whole Wor..